VB 2008 & Access Database, How to pull data into VB? Dim SerialCallLogDatabaseLocation As String = "c:\database1.mdb"
Dim SerialCallLogTableName As String = "Table1"
Dim SerialCallLogDatabaseName As String = "Database1"
As you can see by my comments, Im running into a few snags. Replies To: VB 2008 & Access Database, How to pull data into VB? Re: VB 2008 & Access Database, How to pull data into VB? A better solution would be to place your select statement into a string variable and then use the string for the parameters so that there is no confusion where the statement begins and ends. SelSta = "Select Count(ID) from 'Table1'"
Dim SelSta As String = "Select Count(ID) from Table1"
You're getting the keyword Provider not supported because it's not in a SqlConnection. I added a 'where ID = " & SerNum' to the end of the statement and it works like a charm. I see my fault, I copied part of this code from an old project (still choking on dust) that I did in college that used a SQL server, such a small thing that makes a big difference. Thank you so much, this project (that was supposed to be an hour long lunch time boredom solution) has been such a hassel until now. You dont know how to grab data from Access to shove into my text boxes do you? 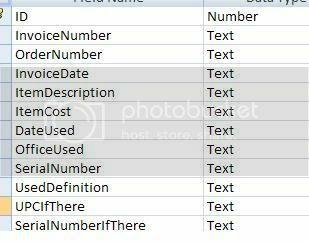 If you are wanting to return the tabular data you will need to incorporate a data reader or you can find other possible solutions here. It was my pleasure to help. If you wish to show appreciation, just click the button in the bottom left of the post. 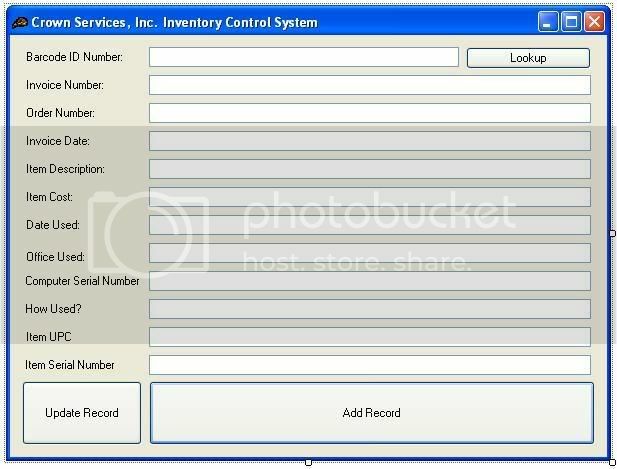 How To Store Data From A Listbox To The Database In Vb 2008.